ATTENTION! On weekends, there is a discount of 15% FOR ACCOMMODATION (Price on the site includes discount) !!! 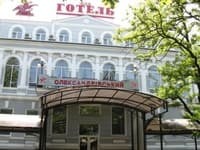 Hotel and restaurant complex "Ingul" is located in the center of Nikolaev and is a 5-storey building. Guests are invited to stay in one of 47 rooms, each of which is equipped with comfortable furniture, TV, air conditioning, refrigerator, access Wi-Fi. On the 1st floor there is a lobby bar, beauty salon. On the 2nd floor there is a fitness center. On the 3rd floor - a restaurant with original Greco-Scythian interior with 50 seats. Interesting design solutions are oak trunk room, located in the center of the hall, forged balcony for musicians, trophies, fireplace. At the hotel there are 2 summer grounds, in the courtyard and in front of the facade. The patio area is equipped with a fixed barbecue. The price includes breakfast (buffet). 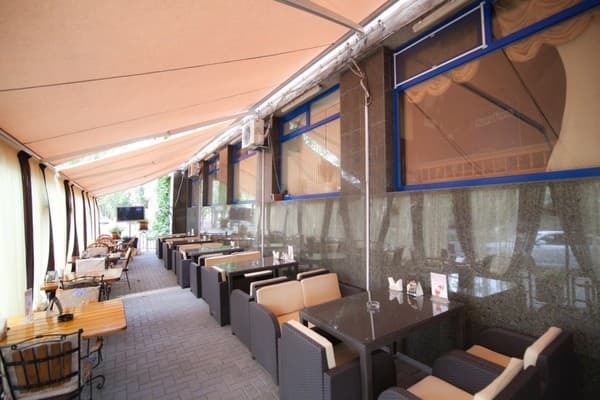 The property "Ingul" restaurant, where residents enjoy a 20% discount on the à la carte menu. Distance from the hotel to the railway / train station - 9 km, to the airport - 15 km to the sea port - 5 km. 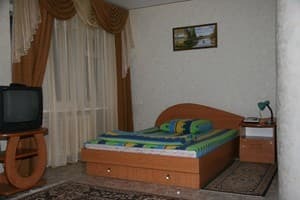 Description of the room: Cozy 1-room apartment, which has everything you need for a comfortable stay: a large bed, a wardrobe, a table, a bathroom. 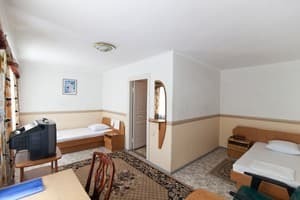 Description of the room: Cozy 1-room apartment, which has everything you need for a comfortable stay: 2 single beds or one double bed, TV, wardrobe, bathroom. Description of the room: Cozy 1-room apartment, equipped with everything necessary for a comfortable stay: double or two single beds, wardrobe, desk, coffee table, chairs and a bathroom. Состояние номера, отсутствие пульта для кондиционера, система включения холодильника. Пора сделать ремонт!!! Старая гостиница, ремонт и нормальные условия отсутствуют. Сама по себе гостиница - достаточно не плохая. Удачное расположение. Номер, в котором я проживал (Дабл в синем цвете) был в не очень хорошем состоянии. Необходим косметический ремонт. 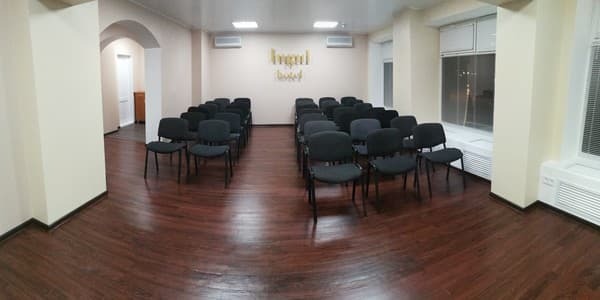 Телевизоры стоит поменять на более новые. Отопление отсутствовало. В целом, номер надо освежить. Children under 7 years without extra bed stay free of charge, extra bed available for a surcharge. Breakfast buffet, included in the price. 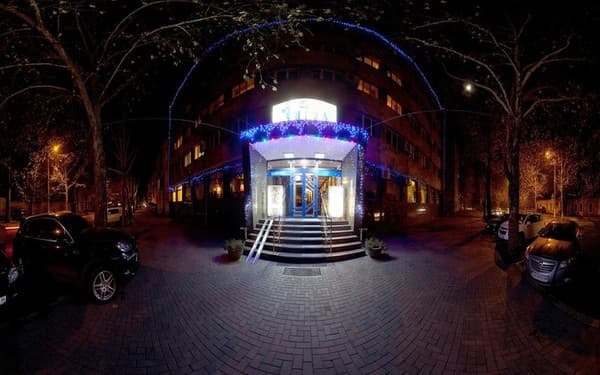 Hotel and restaurant complex "Ingul" is located in the center of Nikolaev. Distance from the hotel to the railway / train station - 9 km, to the airport - 15 km to the sea port - 5 km, to the bus station - 4 km. Corner of St. Nicholas and the Navarino, stop "Admiral". Up w / w station can be reached by bus №8, №21, to the bus station - a shuttle bus №13.